The legendary Essaouira hostel is Designed in traditional chic Riad style, a typical Moroccan riad, built in the 18-th century, it is perhaps more worthy of the title 'Boutique Hostel' for this is more than your average backpackers spot and no more expensive! 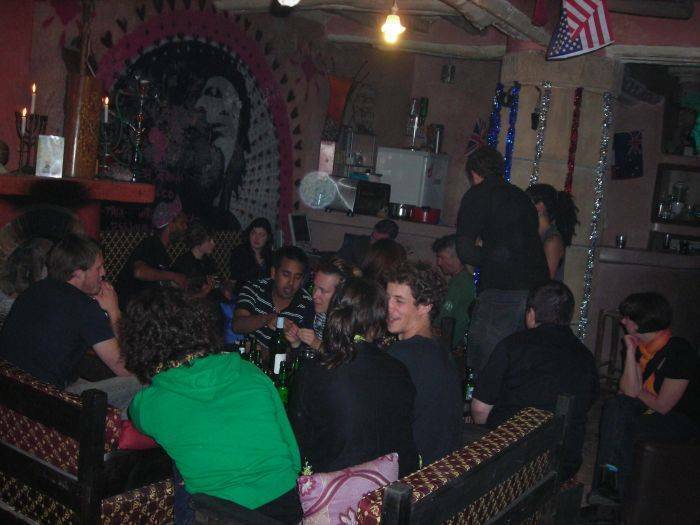 welcom to essaouira hostel, you can check at anytime but you will never want to leave !!! there are no silly rules or curfews. It is much more like staying in a friend’s house. central location in the centre of the Souks in the heart of the essaouira Medina and it’s a real nest of peace for travelers keen to live an authentic Moroccan experience. 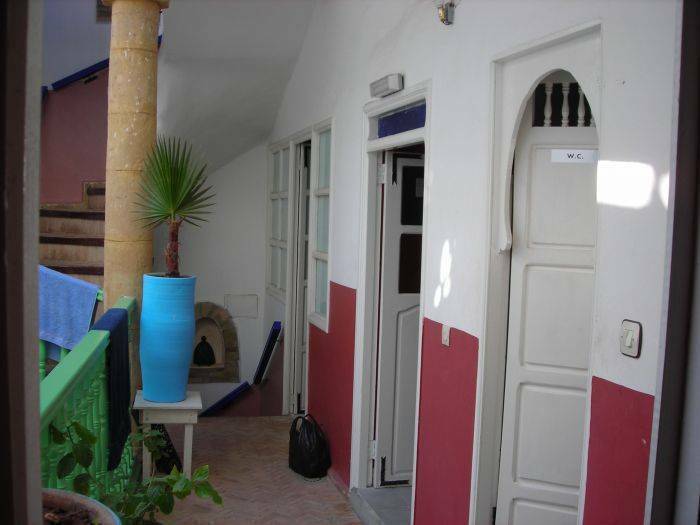 Essaouira Hostel will make you feel instantly relaxed and at home; the rooms are beautifully designed with attention to detail: beds are comfortable and clean and there are showers and toilets on every floor. There is a bar, free internet area with 2 compitures, a TV area in the ground flour lounge area also another lounge area on the terrace and high terrace; complete with sun beds for soaking up the Essaouira rays. It is an ideal spot for a long afternoon lunch around the huge table with kitchen facilities or an evening bbq while watching the sun go down over the rooftops. The view from the high terrace is magnificent and reaches far over the town. You can also enjoy the services available; bbq 's can be organized for you and your friends, delicious food made to order for you or even a party, you name it, we will help you do it! Free Wi-Fi, Free linen, Free DVD, Free lockers (bring a lock), Free luggage storage, freeTowel , and a 24 hour team of friendly staff! This is the place to be! ***Check-in is after 2pm. Free luggage storage is available for those arriving earlier. Beach activities abound (did we really have to tell you that?). Surfing, windsurfinf, kitesurfing, bodyboarding, horse riding, camel ridin, body boarding, swimming, beach volleyball, many ways to enjoy the sun in essaouira. 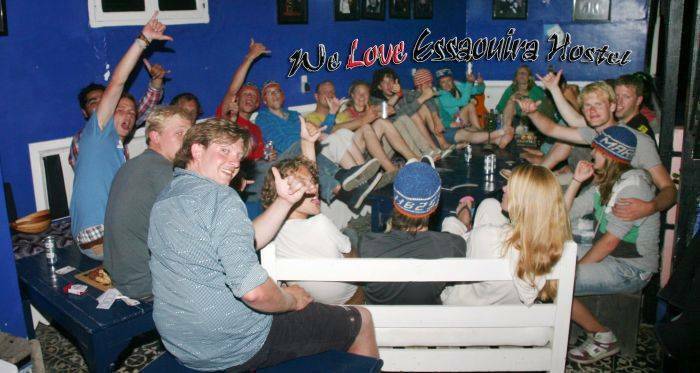 And as an extra bonus, essaouira hostel offers free use of surfboards, quad biking,. The Dorms are clean, comfy and have lockers. 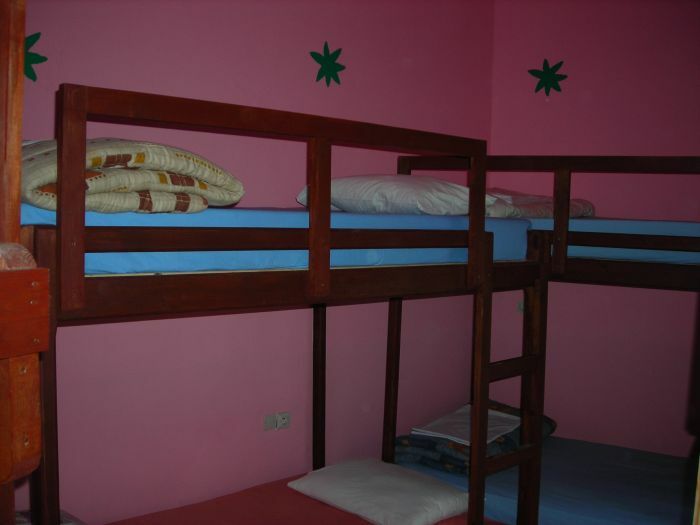 The female dorm has extra large and extra comfy beds. 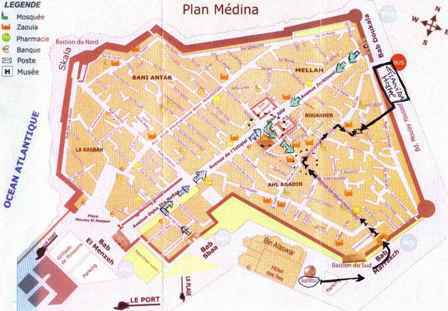 In every gate to the medina (OLD TOWN) you see the PLAN MEDINA (THE MAP) we are in NUMBER 14 IN Laghrissi in zone BOUAKHER, If you are in supratour bus stop, the nearest gate is : BAB MARRAKECH : walk straight down untel you see the sight of the hostel and turn RIGHT into 'Rue Ibn Khaldoun' Walk straight down until you see the other sign of the hostel then turn RIGHT into Rue Laghrissi. The hostel is then on a small cul de sac approx 15m down on the left. The hostel is at the end on the right. If arriving from BAB DOUKALLA entrance to the medina ; walk straight down the main street Avenue Zerktouni. Turn LEFT into Rue de Bagdad Number 13. Walk straight down until the end and turn RIGHT onto Rue Zair. Walk down until you see a the hostel sign on your left; turn LEFT into Rue Laghrissi . The hostel is then on a small cul de sac approx 15m down on the left. The hostel is at the end on the right. If arriving at the BAB SBAA entrance to the medina; walk straight down Rue de Caire, at the end turn RIGHT onto the main street, Avenue de l'Istiqlal. take a RIGHT down Avenue Le Qouri (souk ouaka) towards bab marrakech. Untel you see the hostel sign then turn LEFT into 'Rue Ibn Khaldoun' Walk straight down until you see the hostel sign on the right; turn RIGHT into Rue Laghrissi. The hostel is then on a small cul de sac approx 15m down on the left. The hostel is at the end on the right. if you have a difficulty finding the hostel please give us one of our team will be happy to show you the way to the hostel.